Do you overeat on Thanksgiving? Running a Turkey Trot will burn some of the calories you’ll be shoveling in later. That’s what I’ll do so I can feel less guilty about that piece of pecan pie—a 500-calorie dessert you may want to avoid unless you love it as much as I do! To beat the bloat, you can also watch your portions and consider our recommendations for what to chow down on and what to avoid. 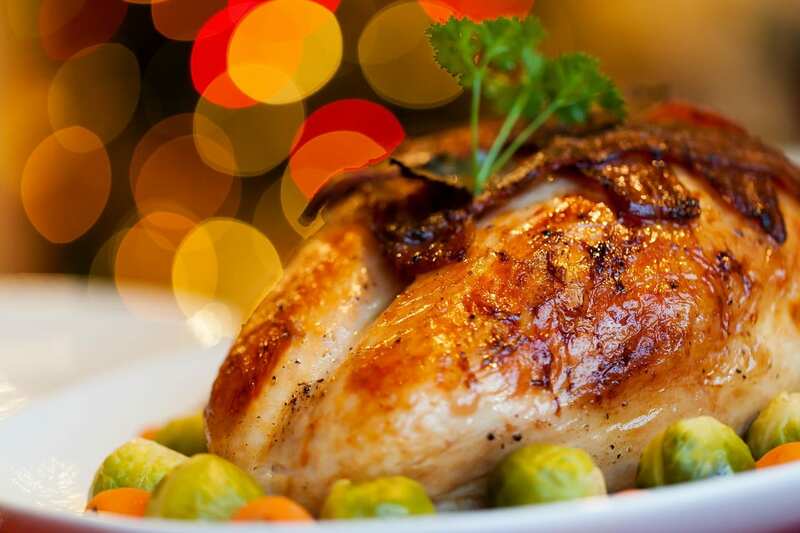 Both white and dark turkey meat are fairly healthy if roasted in the oven and not heavily salted. If you’re really counting calories, go for the white meat. If not, choosing the dark meat will cost you about 50 more calories for every 3 ounces. I personally like to have a piece of both. Ham is notoriously salty and high in saturated fat, and glazed hams are smothered in sugar. If you have an option, go for the turkey. If not, take a small portion or avoid it altogether. 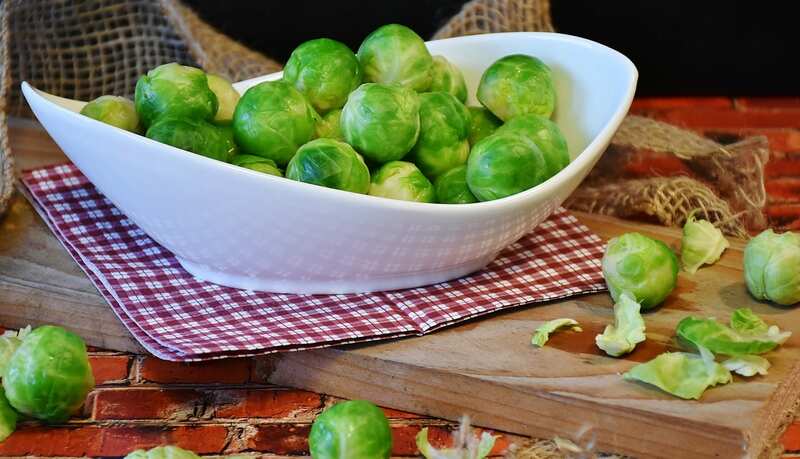 Brussels sprouts, which are rich in vitamin C and fiber, can provide a healthy balance to your Thanksgiving meal. Cooked spinach is also a great option (if not drowned in butter and cheese), providing a significant amount of vitamin A, vitamin K and protein. This rich and tempting dish is overflowing with fat, calories and sodium. The butter, cream of mushroom soup and fried onions really outweigh the nutrition in the green beans. But if it’s not Thanksgiving without a serving of green bean casserole, consider taking a smaller scoop of the classic side dish. 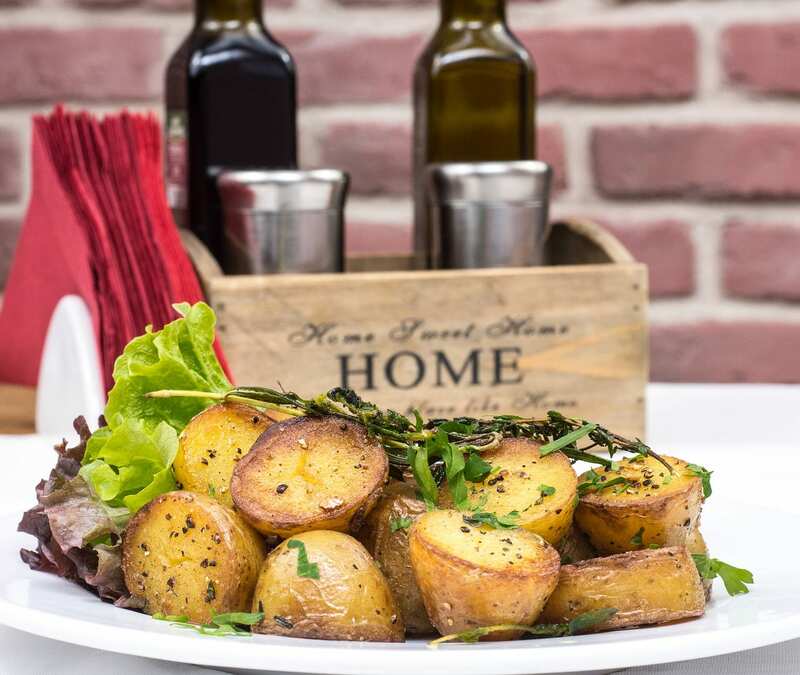 Roasted potatoes can be considerably healthier than those you find mashed or in a casserole. A little olive oil and some spices go a long way. Plus, roasting brings out the natural sweetness in sweet potatoes or yams, eliminating the need to add things like butter and sugar. If you like creamy mashed potatoes, they most likely include fattening agents like butter, milk or cream. Sweet potato casserole and candied yams also include fat and sugar additives, making them highly caloric, so these are some Thanksgiving sides to pass on if possible. With that said, many of us only have the chance to eat sweet potato casserole once a year, so get some! Just don’t fill your plate with it. A slice of pumpkin pie, sweet potato pie or apple pie is not going to set you back as much as a slice of pecan pie. 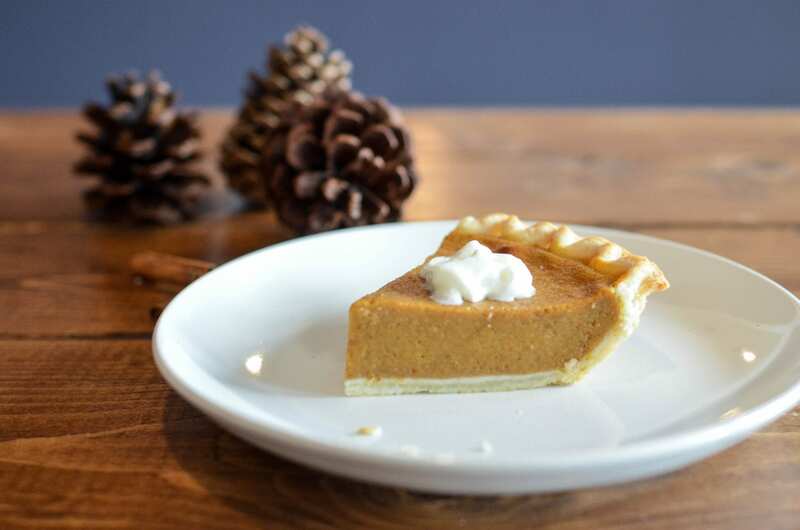 Plus, sweet potato and pumpkin pie are a great source of vitamin A, and apple pie is high in vitamin B6. Pecan pie is probably the most caloric item on the table. This decadent dessert is typically packed with sugar and corn syrup, so if it’s not your favorite, don’t eat it. If it is your favorite, skip those second helpings so you have room for dessert! Now I know I didn’t cover everything on the menu—we all have our traditions—but hopefully these tips will help you make it through the meal without completely stuffing yourself. Enjoy the day, be thankful and celebrate the time you’re able to spend with family and friends. And if you want to show some appreciation for this year’s host, consider giving them a Kudos Coaster Plus. If you are the host, good luck and kudos to you!